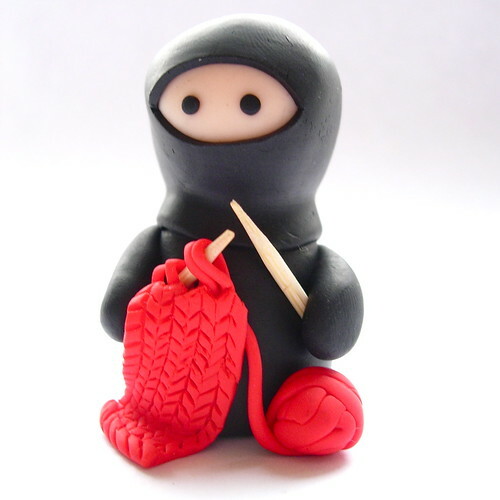 My handle on Ravelry is ninja-knitter. On Pinterest I'm ninjaknitter1 (though you can find me by my name too). 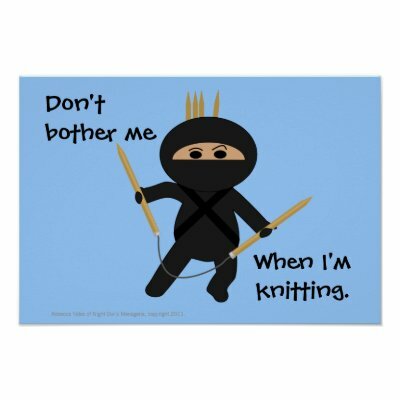 I initially wanted to call my Blog "Confessions of a Ninja Knitter" but Ninja Knitter was already taken. 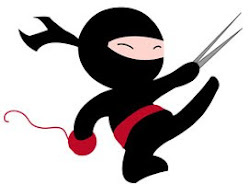 There has to be a reason for all this ninja-ness doesn't there? I come from a family of ninjas. (Actually it's Taekwondo really, not ninjitsu). Taekwondo was something I sort of fell into. When my son was about eight, we were looking for a sport for him. (His big sisters were doing ballet). So I found an ad in the local Yellow Pages, rang the instructor and sent the son and the Head of the Household off to class. I chose our club as it advertised a non-contact family environment with kids and adults training together and that it was a true martial art not a competition style. Best decision ever. They both loved it. As time went on, the girls got sick of having to wait around and watch classes and they started too. Finally I gave into them and started too. I was was in my early thirties and had been one of those nerdy kids who avoided sport all the way through High School spending my time reading books. I also have lousy hand eye coordination and my grasp of left and right is shaky. However, I have made it to instructor status and one belt below black basically through persistence and repetition. On a good day I can even be slightly scary and intimidating. 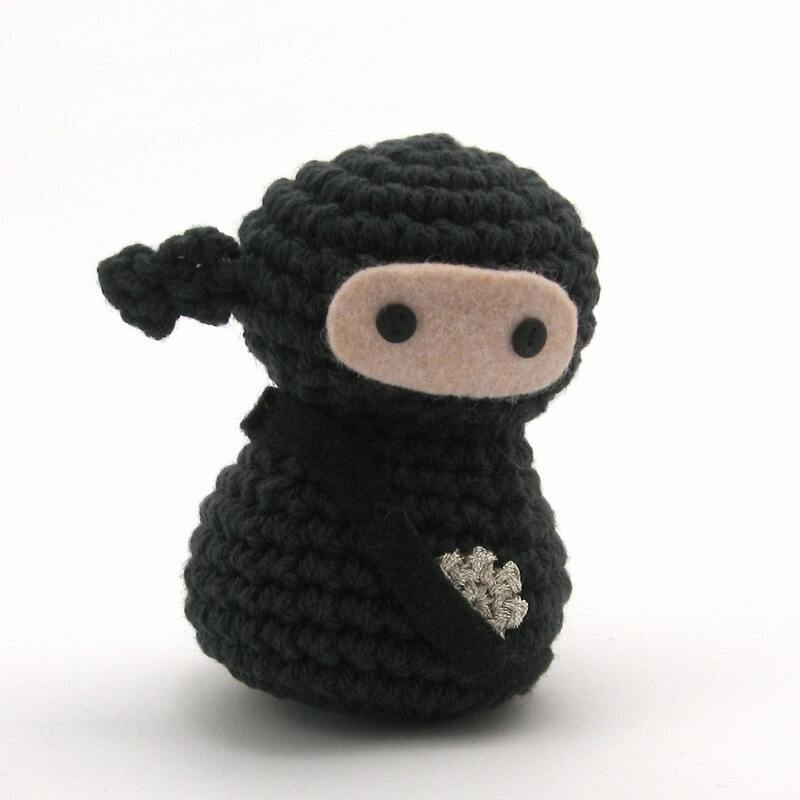 The ninja knitter tag comes from my habit of carrying knitting around with me whenever I am watching a class, often socks or berets knitted in the round. My senior instructor jokes that I need to wear my hair in bun with my lethal sock needles through it. The children have blossomed and the middle daughter, Mel, made black belt at 16 (The youngest age our club gives black belts - all our black belts are considered adult black belts). Here she is showing off that skinny little girls can smash roof tiles and demolish boards. The boy is a gifted aerialist with great control. Black belt for him in June (Fingers crossed). Here we all are as newbies. The eldest daughter made it to black tip before her future doctor studies and love of ballet class meant she had not enough time to go further. I still wouldn't pick on her in a dark alley though. There are very few photos of me Ninja-ing as I'm usually the one behind the camera or teaching the class. The few I do have, have other people in them so I can't really stick them up in public cyberspace. (This is one of the true dilemmas of blogging, how much to say and still respect the privacy and anonymity of others). 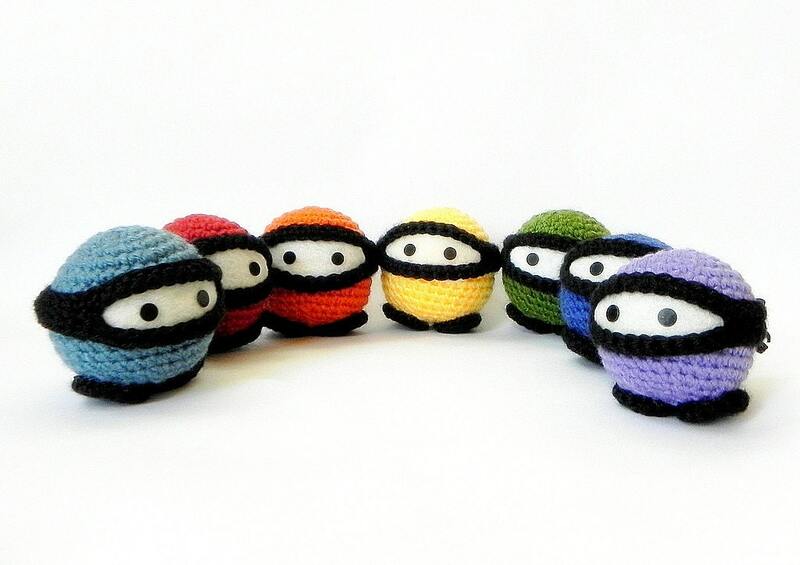 Here's some of my favourite knitting ninjas. 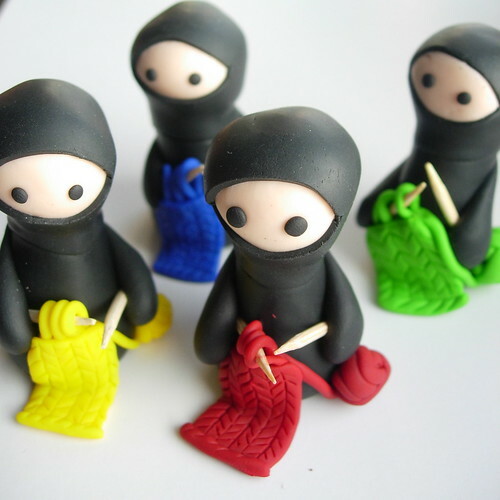 I am making my own ninja knitter amigurumi at the moment as a little avatar for my various web presences. Cos this is me. And I have the skills to back it up.